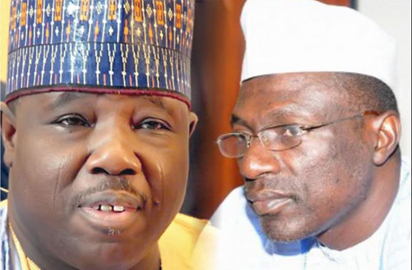 PDP offers amnesty to Sheriff, others – Royal Times of Nigeria. The Peoples Democratic Party (PDP) has said it would grant amnesty to party members who participated in the crisis that slowed down the party. The Chairman of National Caretaker Committee of the party, Senator Ahmed Makarfi, stated this in an interview with reporters in Abuja on Thursday while reacting to to a question on whether the party would sanction the sacked National Chairman of the party, Senator Ali Modu Sheriff and his followers. He said there was no need to punish them, as the party is focused on getting back on its feet. He stated: “No, we won’t punish anyone for what had happened in the past. Our doors are open for everyone, including those who are not members of the PDP. Sheriff in his reaction said he was not sure that Makarfi could be calling for amnesty for him and his group. He said: “He said that he was going to grant us amnesty? Are we criminals? No, he couldn’t have said that.